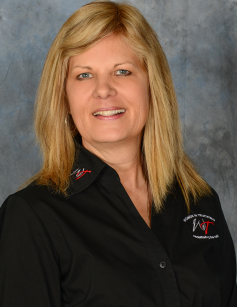 By Ellen Voie, President/CEO, Women In Trucking, Inc. Recently a young (23-year-old) professional driver maneuvered her loaded tractor-trailer onto a 19th century bridge in Paoli, Indiana. The driver held a commercial driver’s license (CDL), but apparently the definition of what constituted a ton was not part of the training curriculum. The bridge was posted with a six ton weight limit while the loaded tractor-trailer weighed closer to 30 tons, or 60,000 pounds. 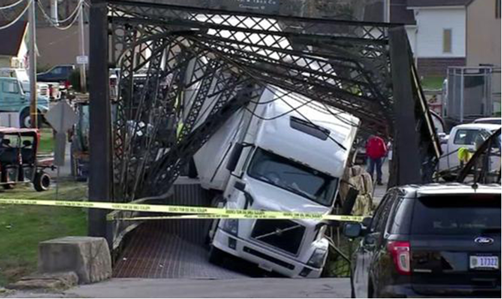 She admitted that she did not understand the definition of a ton, which she should have learned in a grade school math class as “a unit of weight equivalent to 2,000 pounds.” The driver had taken a wrong turn and was using the bridge to get back on track and demolished the bridge, the truck and her career in the process. This incident could have been avoided with proper training, but before we point fingers at the carrier or the truck driving school, consider her error. The sign clearly stated a limit of six tons; her misunderstanding is not solely the fault of her training. Even a great instructor might make the assumption that a person pursuing a license to drive a tractor-trailer would understand the meaning of a ton. Last year, Women In Trucking was one of 26 stakeholders who participated in the Entry Level Driver Training Advisory Committee for the Federal Motor Carrier Safety Administration. After numerous meetings and months of debate, the committee determined a model curriculum for commercial driver training. Truck and bus operators will be required to demonstrate proficiency in everything related to skills, road operations, communication, paperwork, and even health concerns. Not once did the committee discuss terms and definitions related to an elementary school education. However, this just reinforces the need to know the driver and continue the training beyond the training facility. Would a carrier’s trainer have discovered this driver’s lack of understanding of a ton? Why didn’t the driver ask before crossing the bridge? The National Institute of Occupational Safety and Health (NIOSH) recently completed a study on over-the-road (OTR) professional drivers. The research was intended to investigate the cause of truck crashes to address the safety of professional drivers through surveys. The report also determined that moving violations and near misses can help carriers predict those drivers who are more prone to continued crashes. Since risky behavior includes moving violations, speeding, and refusing to wear a seat belt, these could all be indictors of driver behavior that is more likely to result in a crash. Is it possible to anticipate a driver entering a creaky metal bridge marked with weight limits by noting previous violations? Perhaps that is the case. A report from Omnitracs (formerly a division of Qualcomm), based on the electronic logging devices of carriers using their technology, found that only fifty percent, or half, of a carrier’s drivers will experience ninety percent of the serious collisions. These “serious” collisions include roll-overs, running off the road, head-on accidents, jack-knifes, side-swipes, and rear-end collisions. Omnitracs developed an “accident severity model” to identify the ten percent of these accident prone drivers to address these risk behaviors before they result in a collision. It’s difficult to imagine how a driver could earn a CDL without understanding weights and how they pertain to axles, gross weight, and bridge laws. The carrier might have noticed some signs of incomprehension of the meaning of a ton in the driver’s paperwork or through better training interaction. Today there is a bridge in Indiana that is no longer usable and a driver who may never operate a commercial motor vehicle again. Whether it’s predictive analysis through technology or addressing driver risk factors with better training, the trucking industry still has room to elevate safety to a higher level.